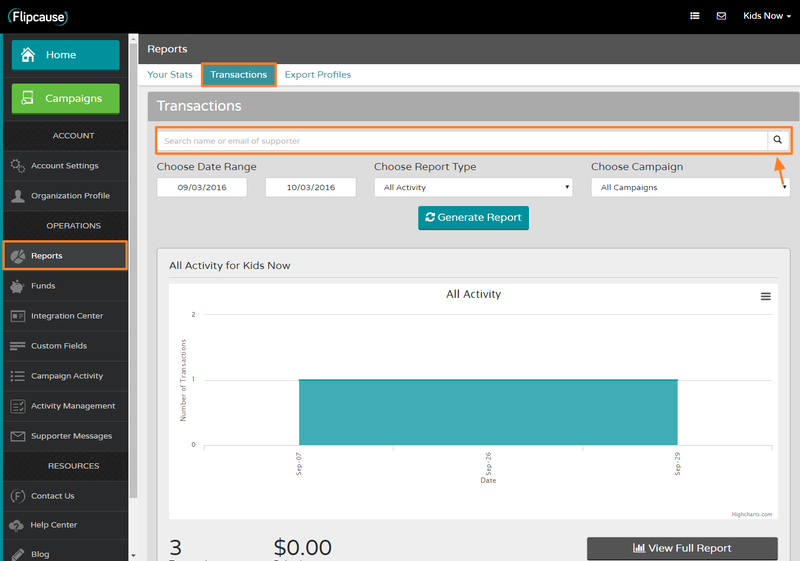 You can add notes to transactions on Flipcause, and these notes will be saved and viewable both from the transaction details in your Dashboard, as well as exportable into reports. Scroll down to the list of transaction results below the graph. Click on Details to the right of the transaction. 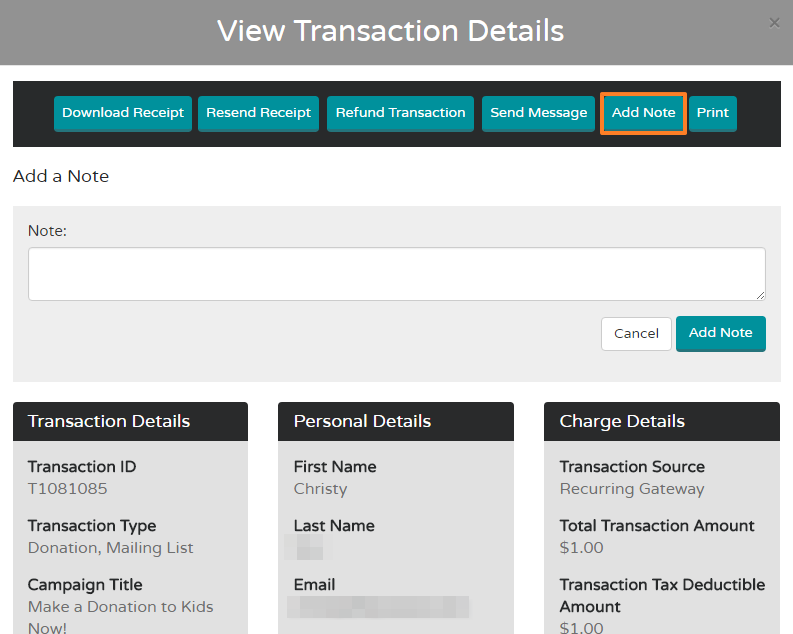 Select Add Note at the top of the View Transaction Details window. Enter the note in the box provided. Then click Add Note!